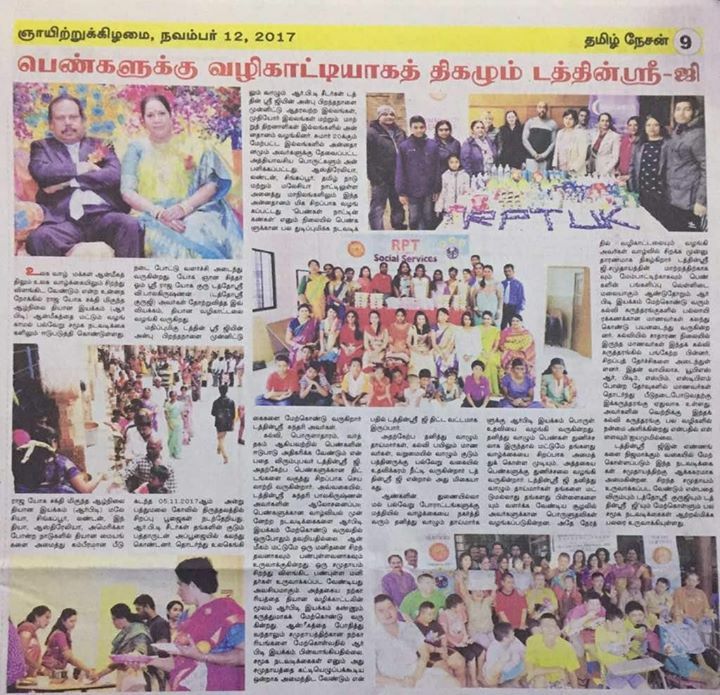 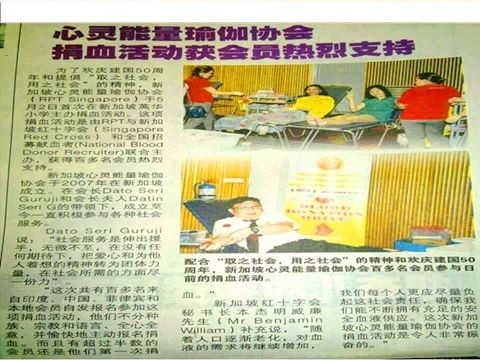 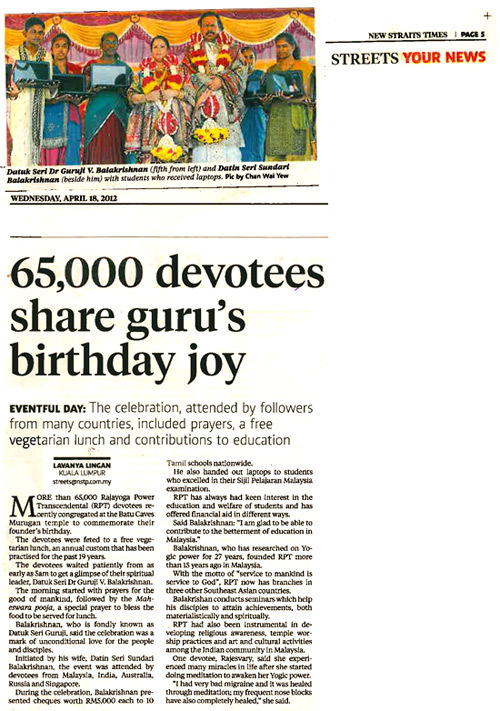 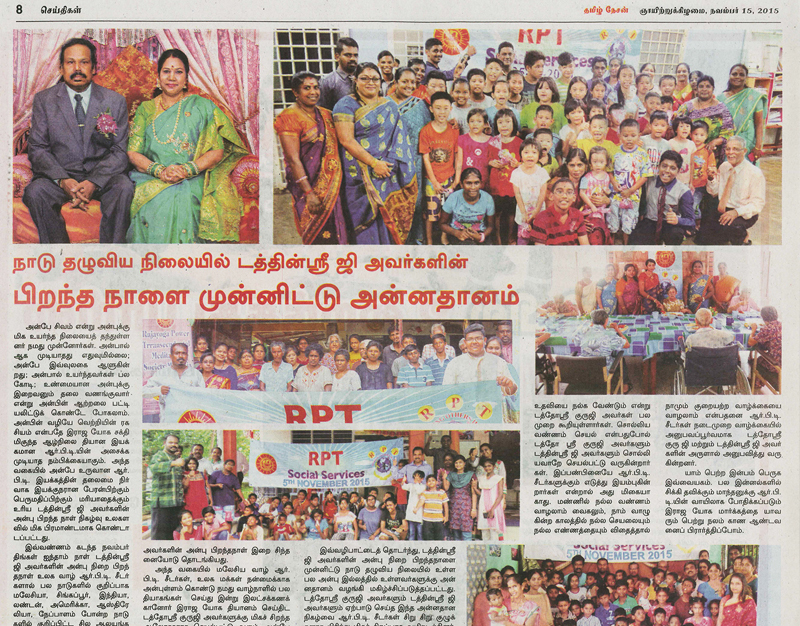 RPT's Social News in conjunction with HDG Datin Sri Sundari Balakrishnan's Divine Birthday Celebration 2016 in Nanyang Siang Pau on 19.11.2016. 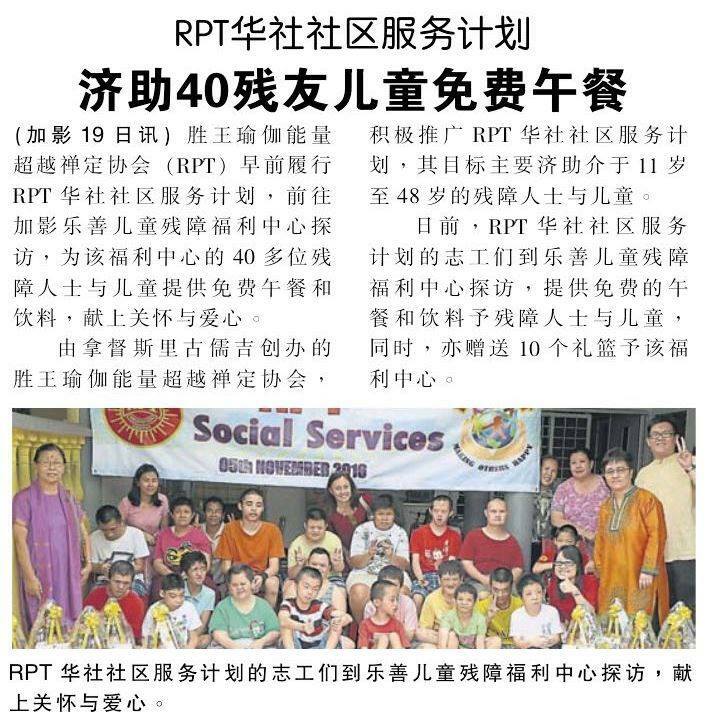 10th July 2016 (Sunday) Nanyang Siang Pau: RPT's programme to support the International Day of Yoga (21st June) was held on 19/6/2016. 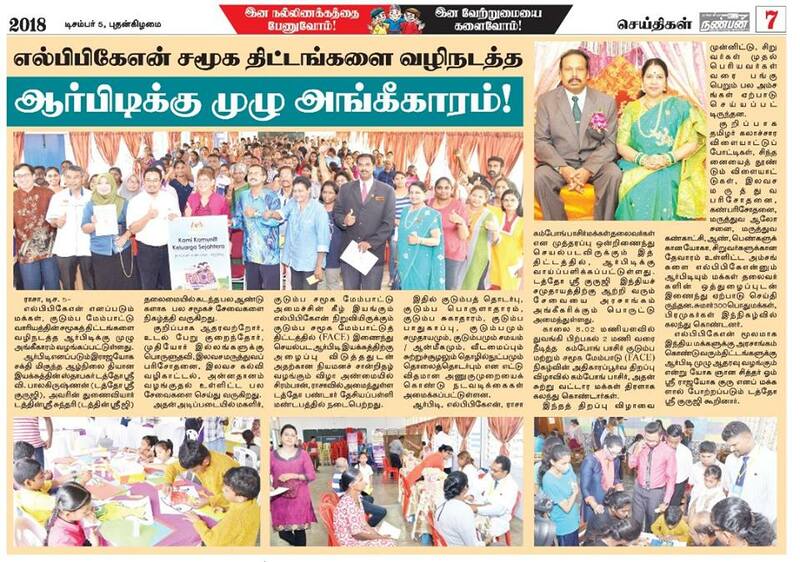 Around 300 people took part in this event. 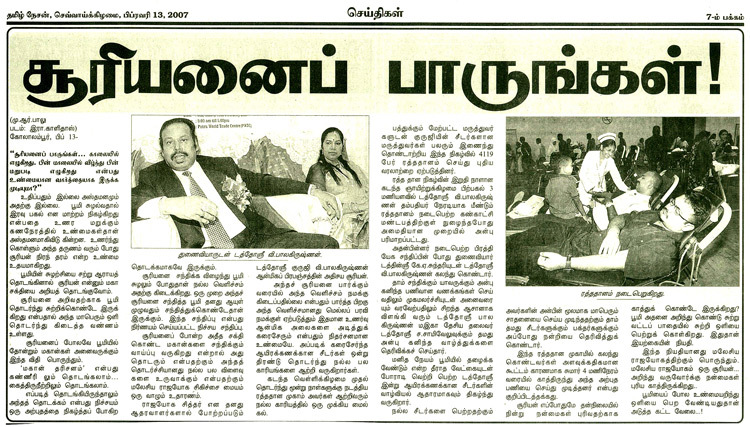 A lot of people do not understand the concept of Yoga. 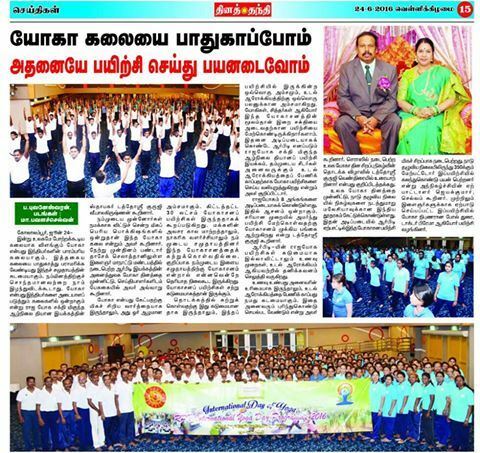 They thought that Yoga is very difficult and involved a lot of body movements. 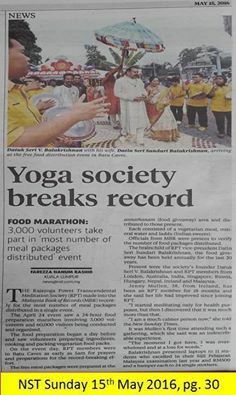 The reason as to why RPT organised this event was to let more people understand what Yoga is all about. 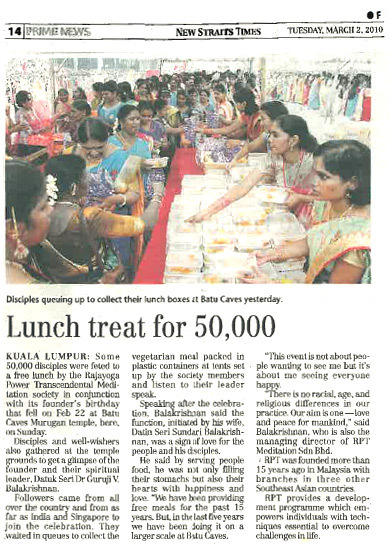 300 RPT members and 50 volunteers made this event a success. 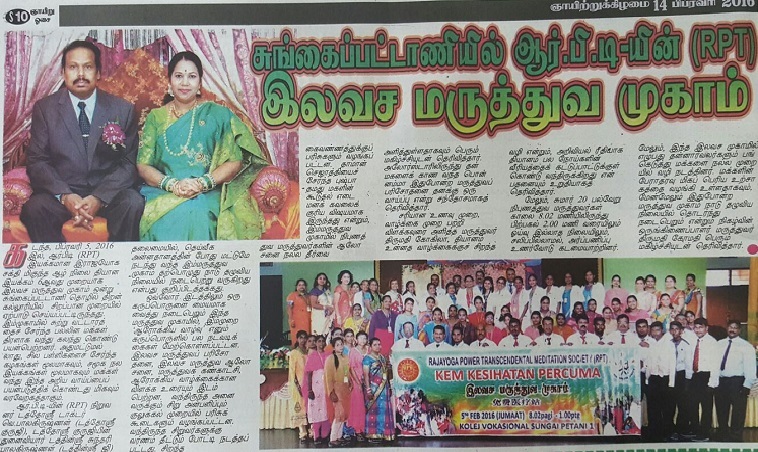 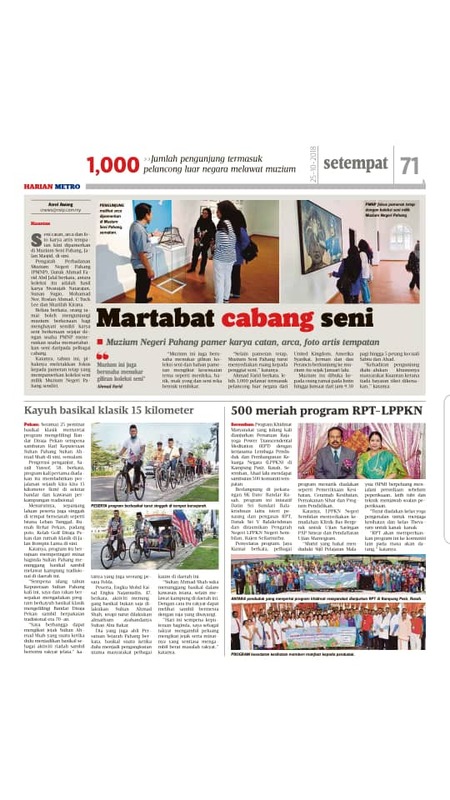 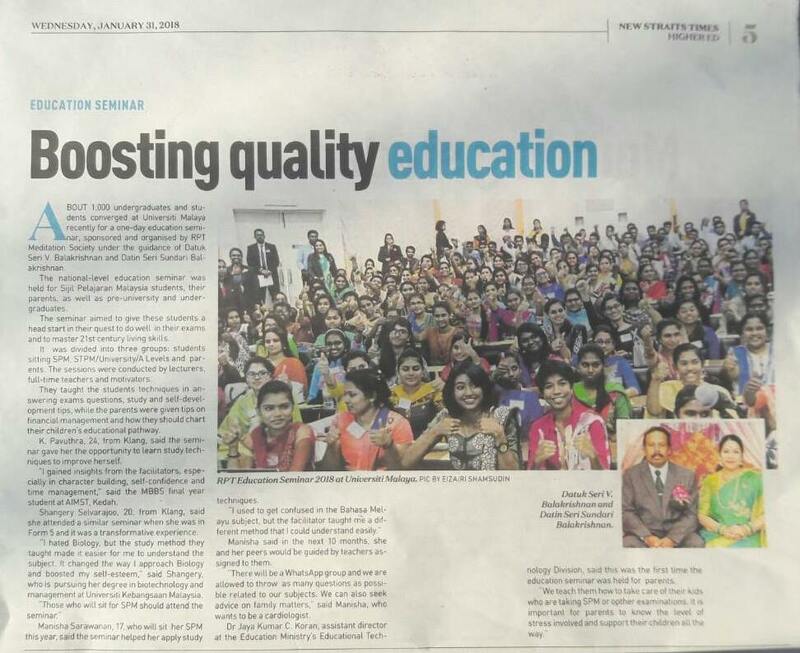 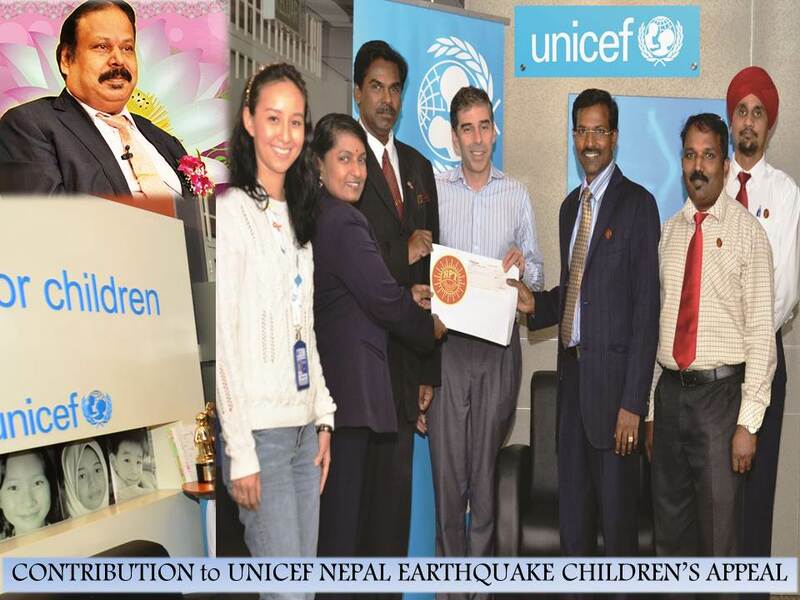 The event was organised by Yang Berbahagia Datin Sri Sundari Balakrishnan and the opening speech was given by RPT founder Yang Berbahagia Dato' Sri V. Balakrishnan. 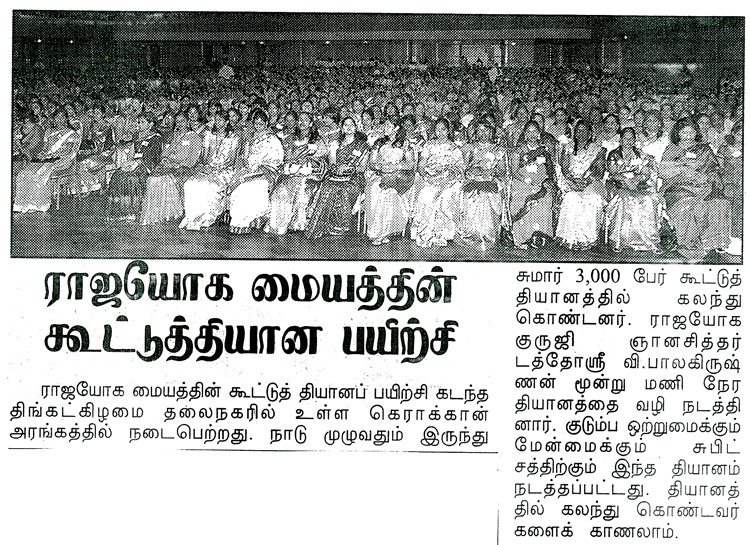 This event highlighted a few Yoga steps such as Surya Namaskar, Thadsana, Vikrasana, Vajrasana & Salabasana. 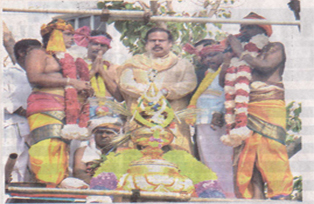 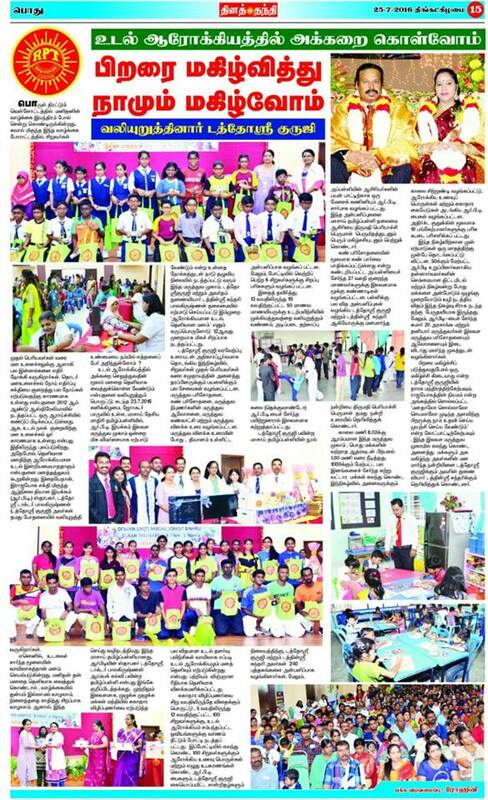 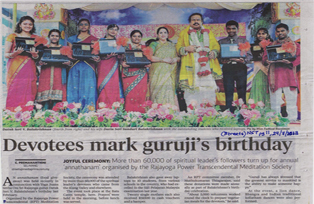 RPT's Maha Annathanam 2016 News in News Straits Times on 15.5.2016. 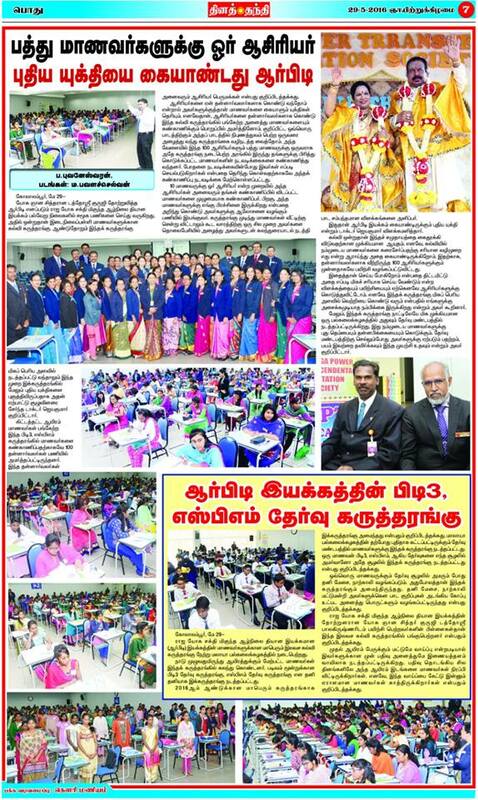 RPT's Maha Annathanam 2016 News in Nanyang Siang Pau on 11.5.2016. 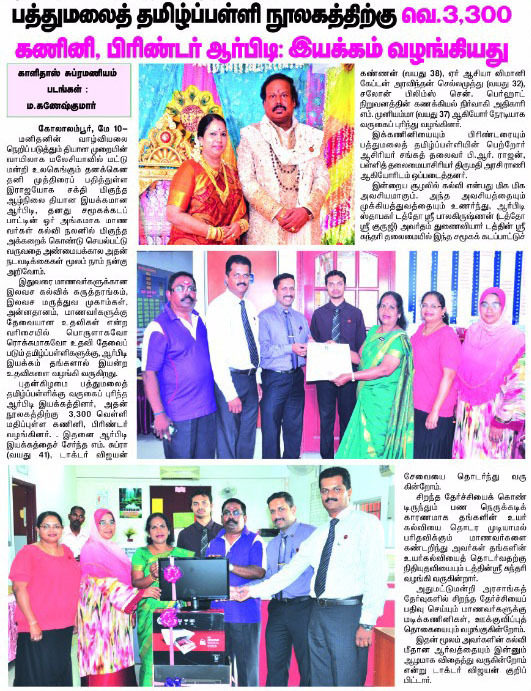 RPT's Maha Annathanam 2016 News in Thina Thanti on 25.4.2016. 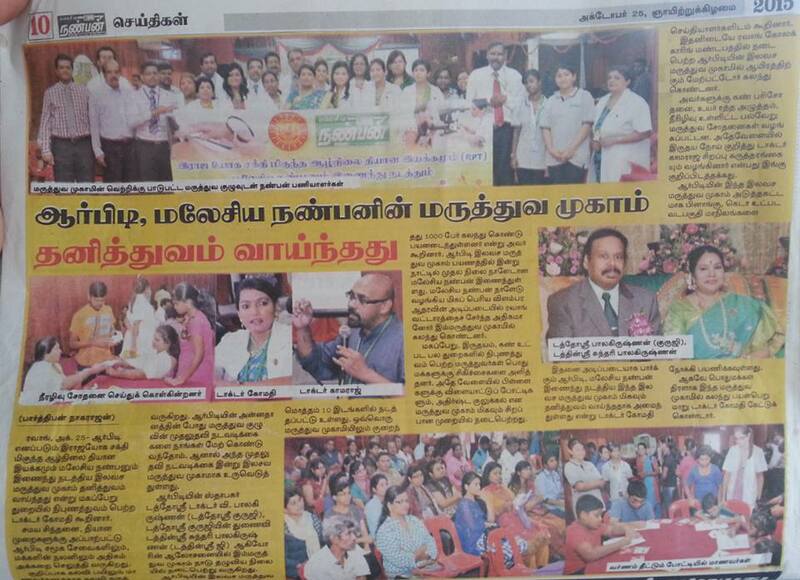 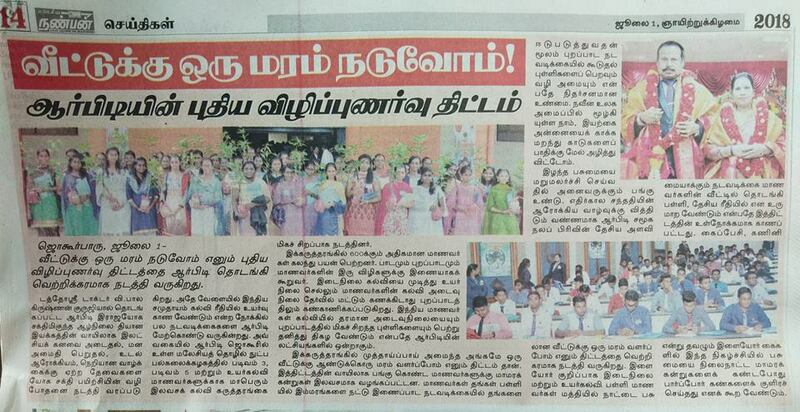 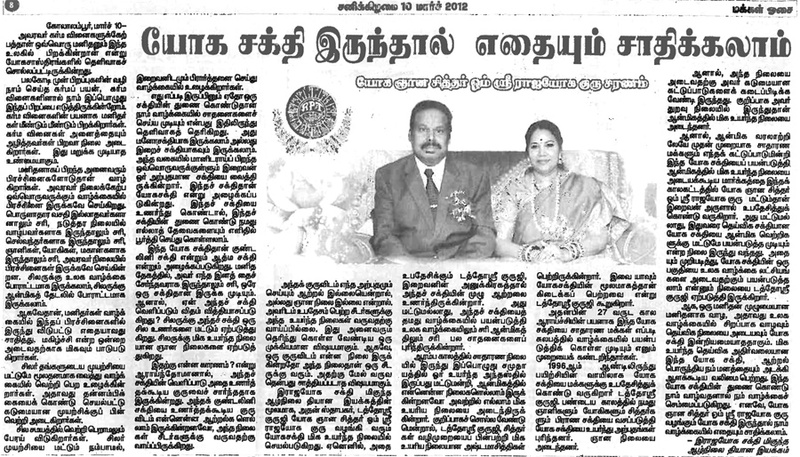 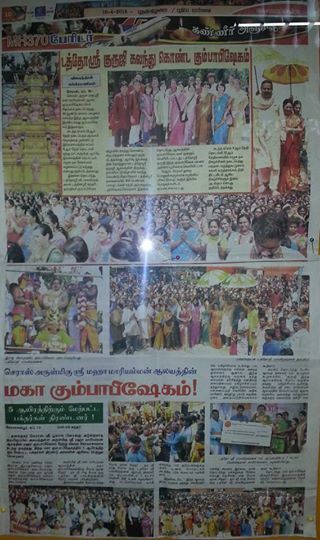 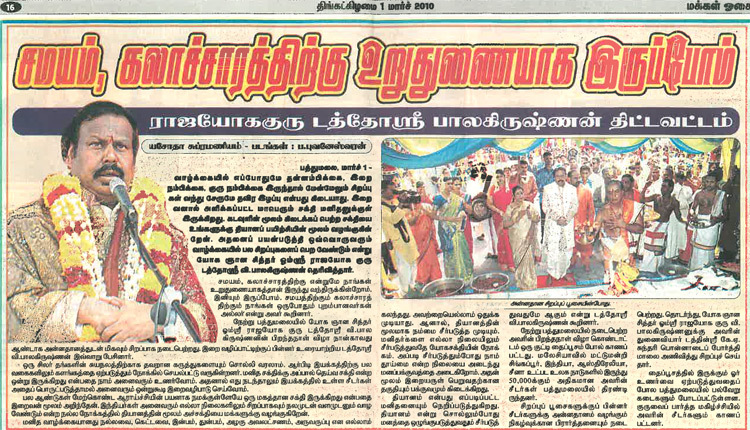 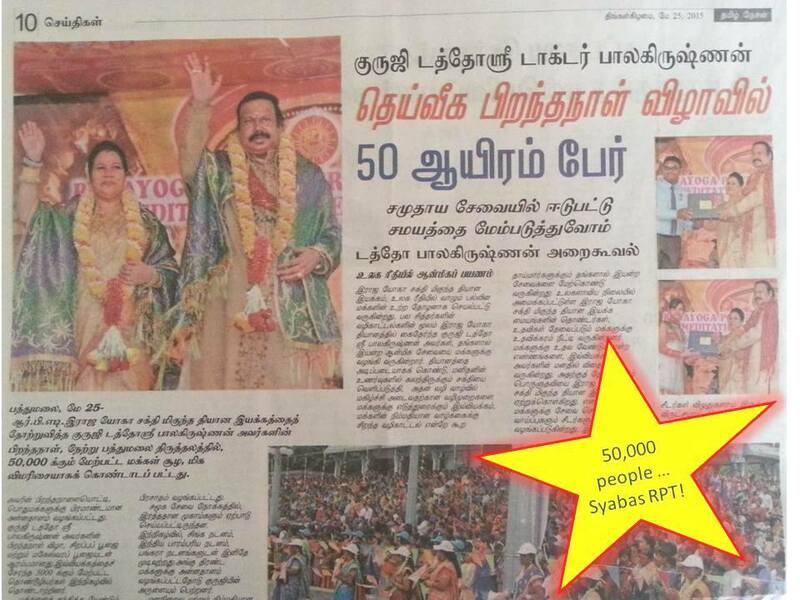 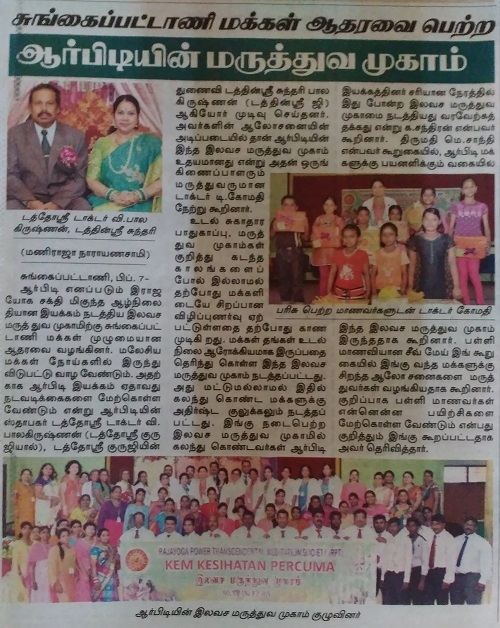 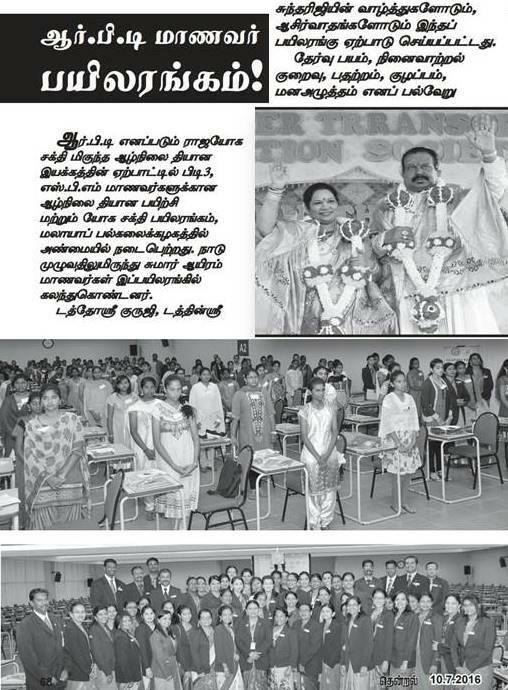 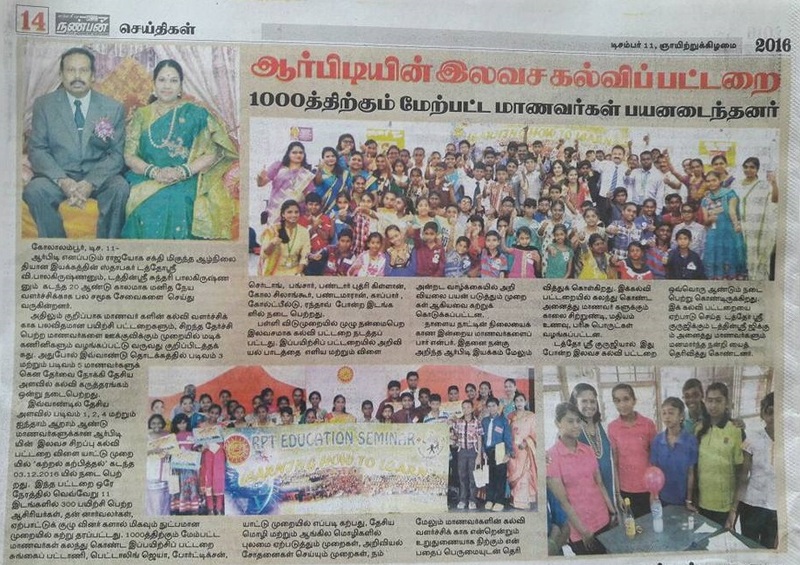 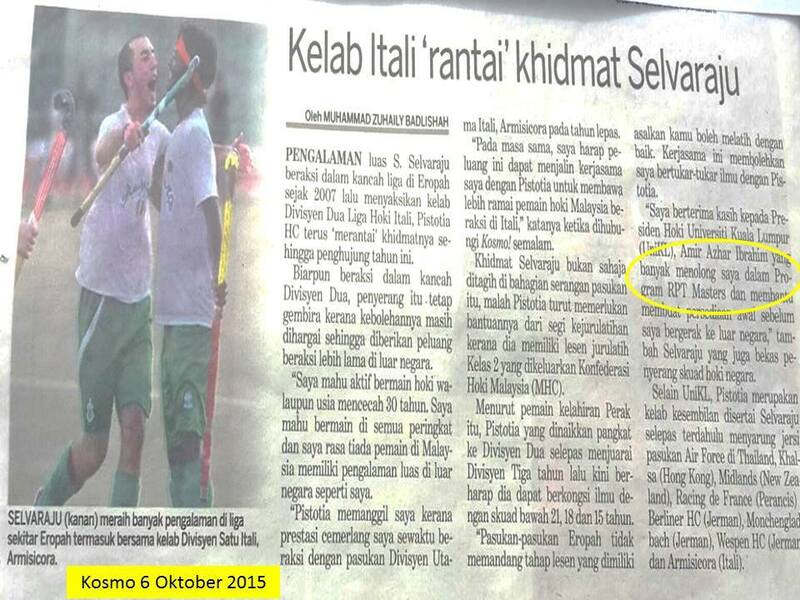 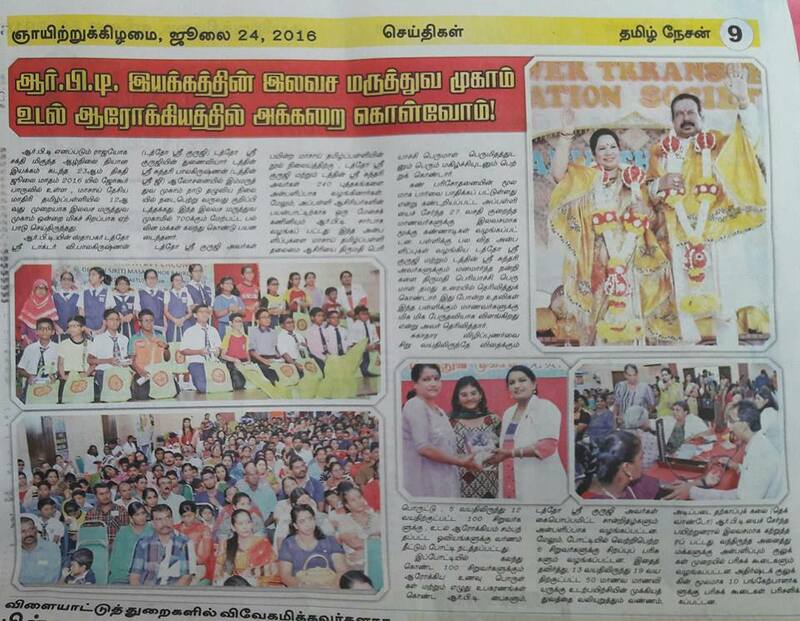 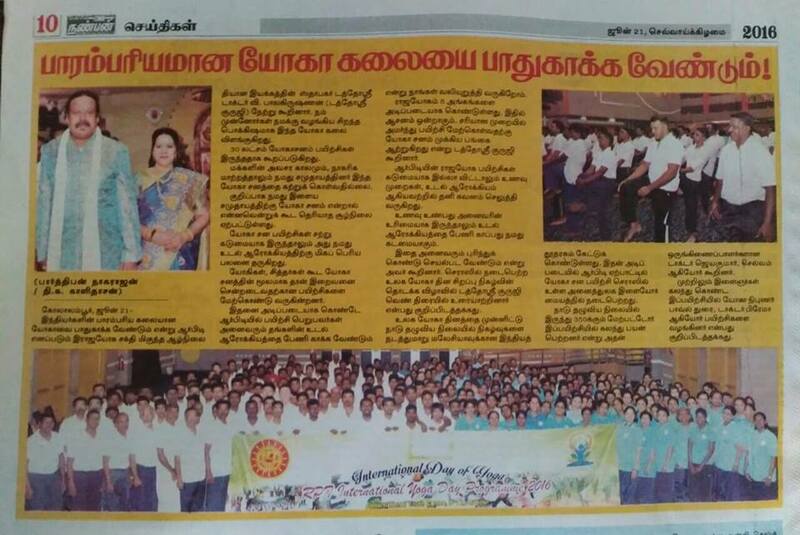 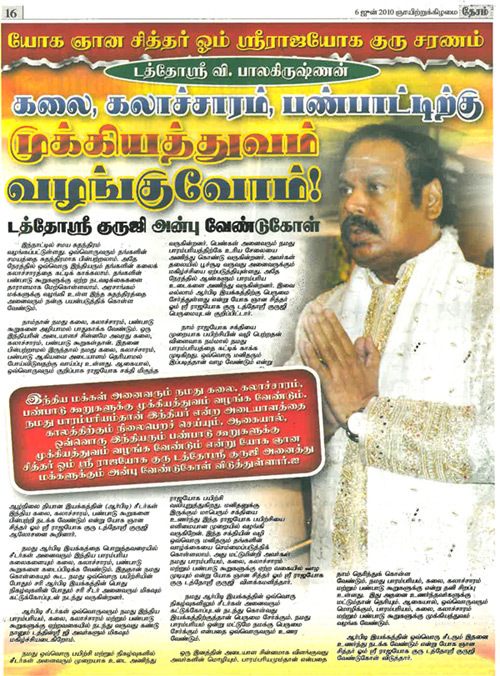 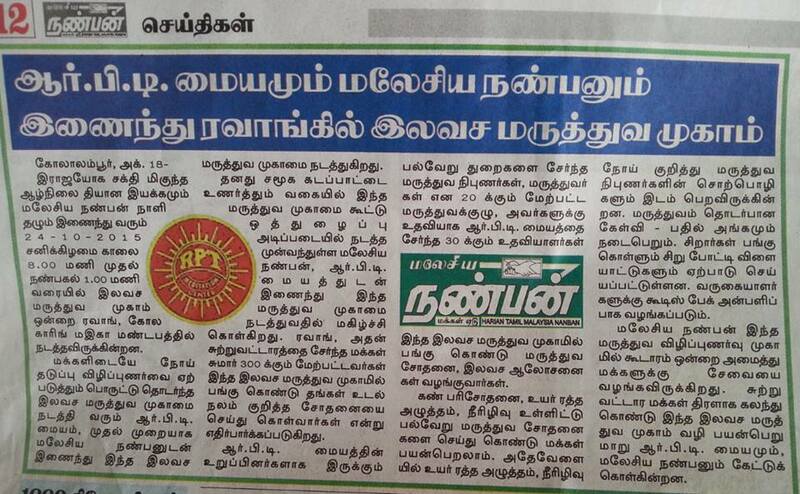 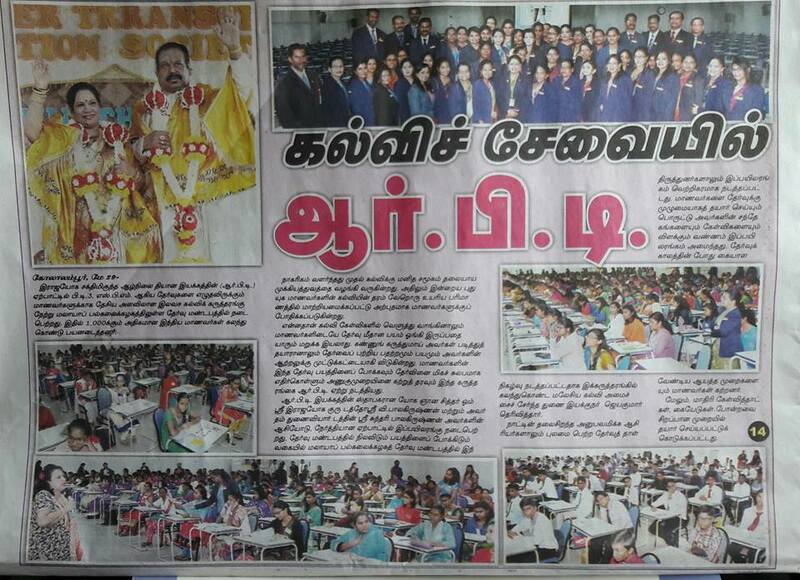 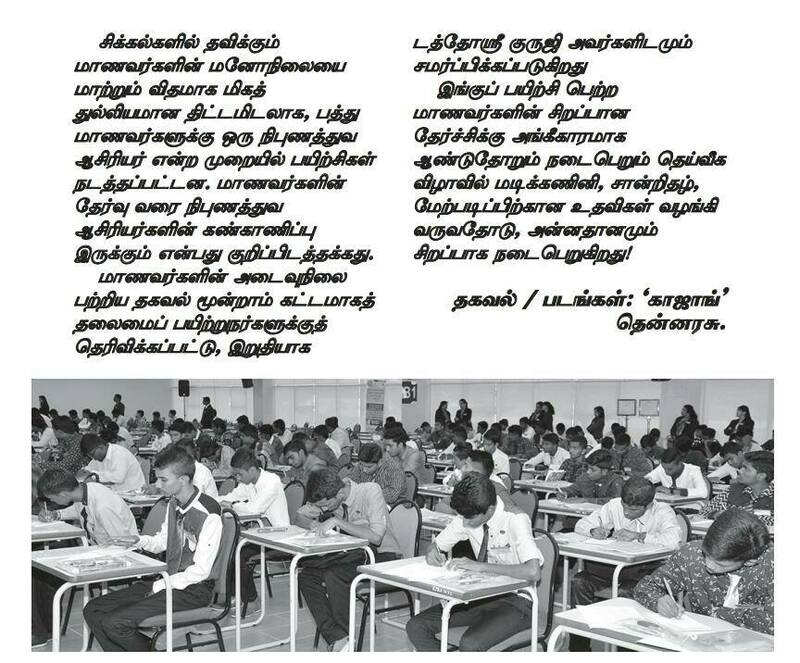 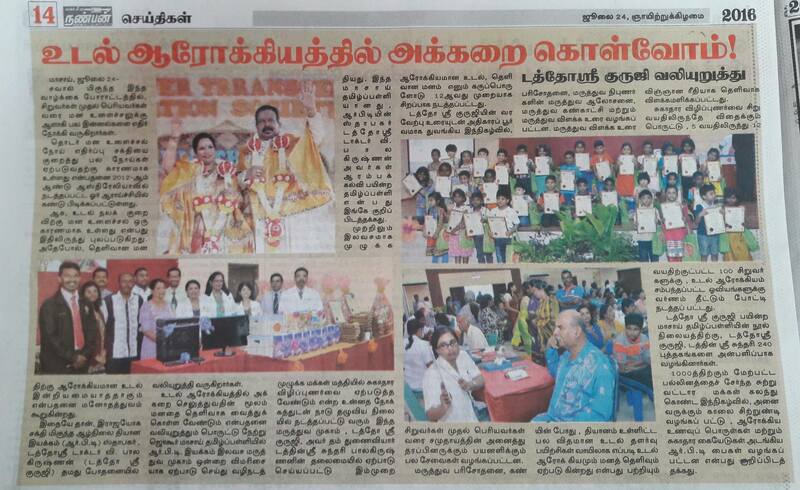 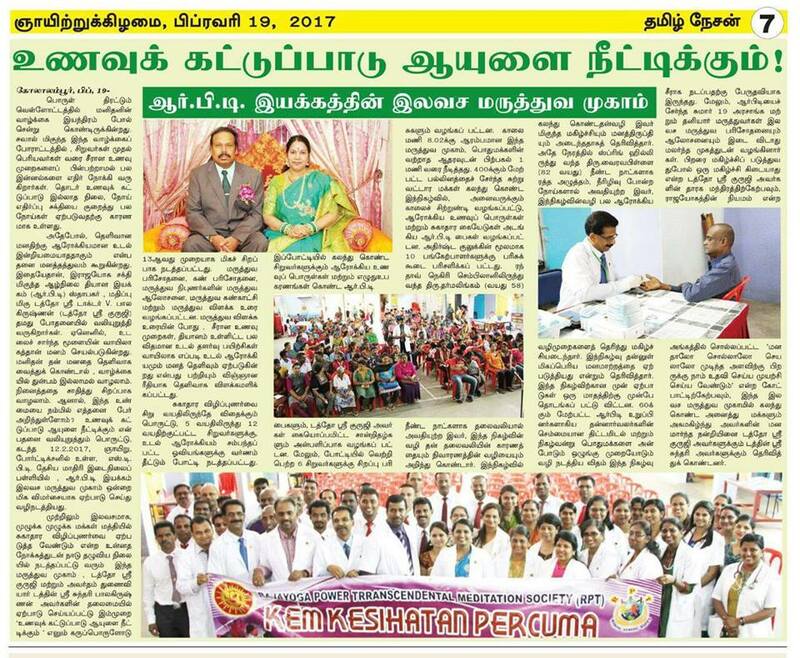 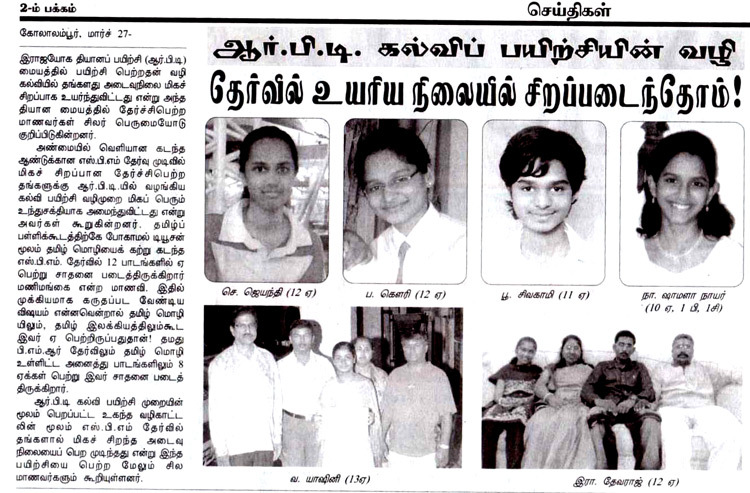 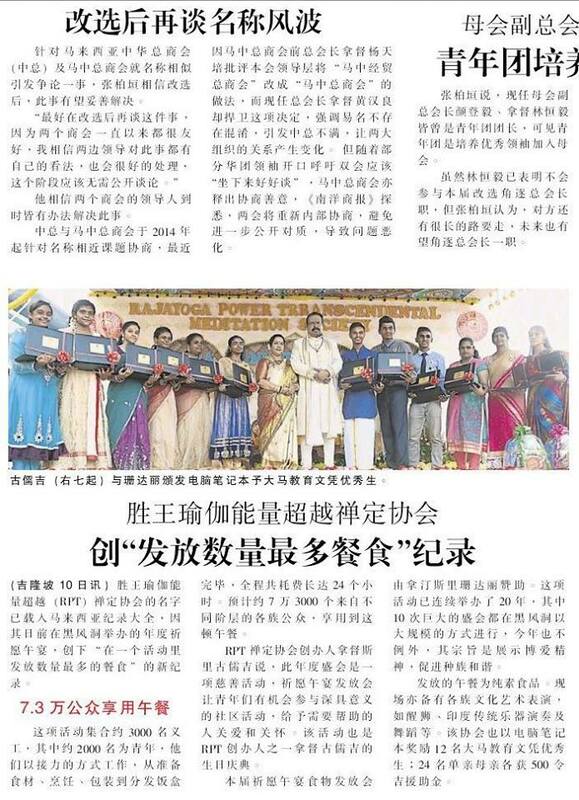 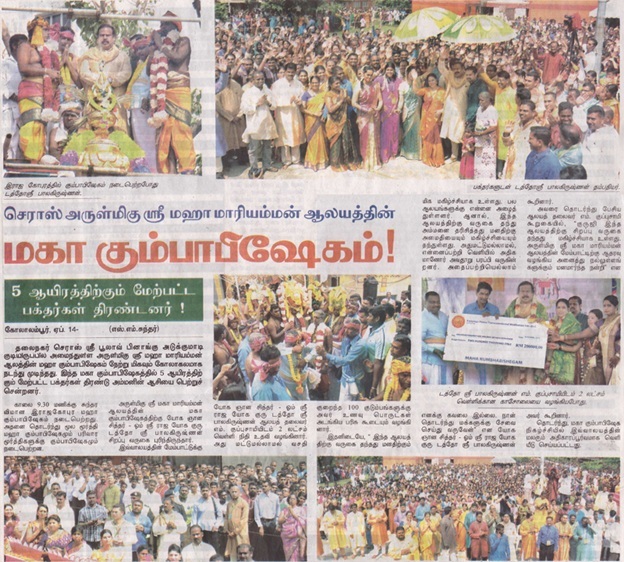 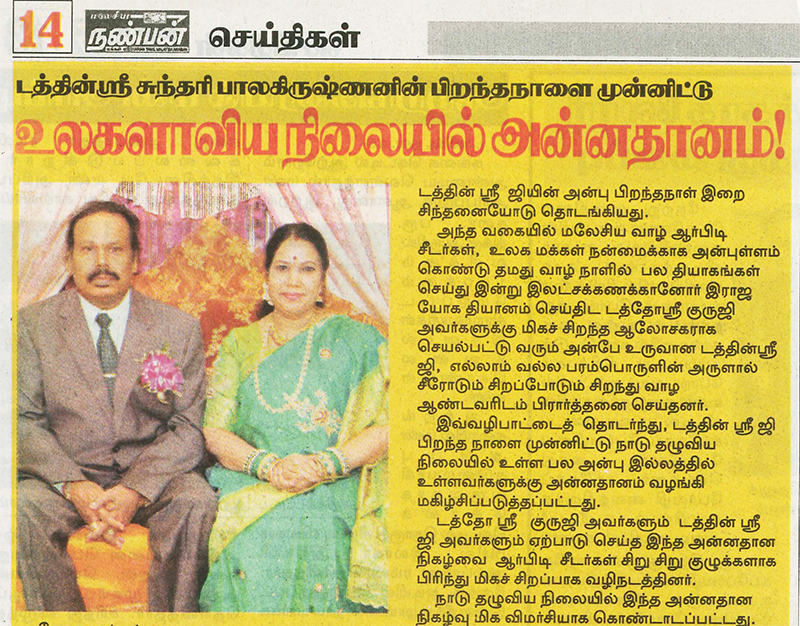 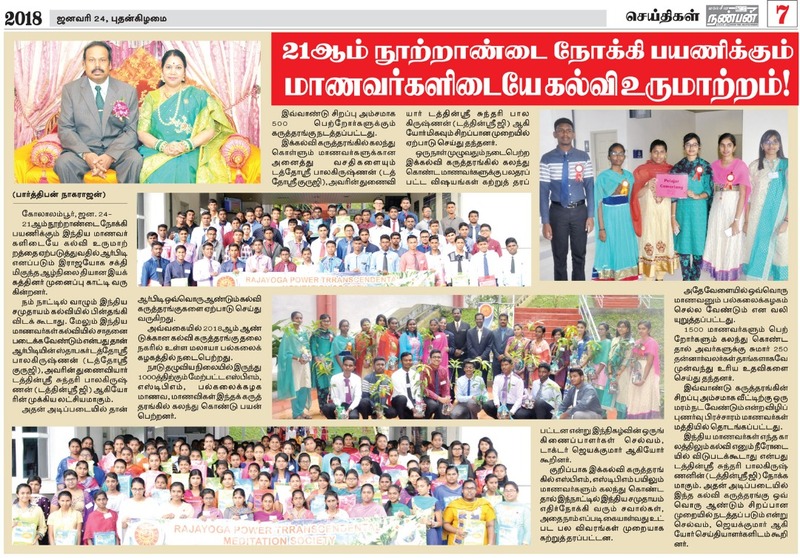 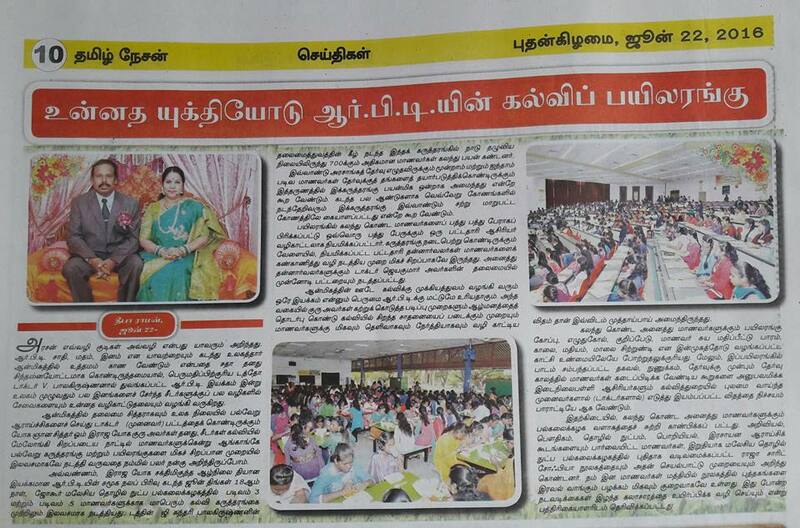 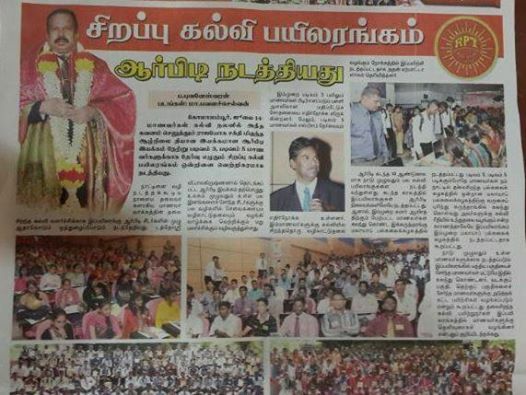 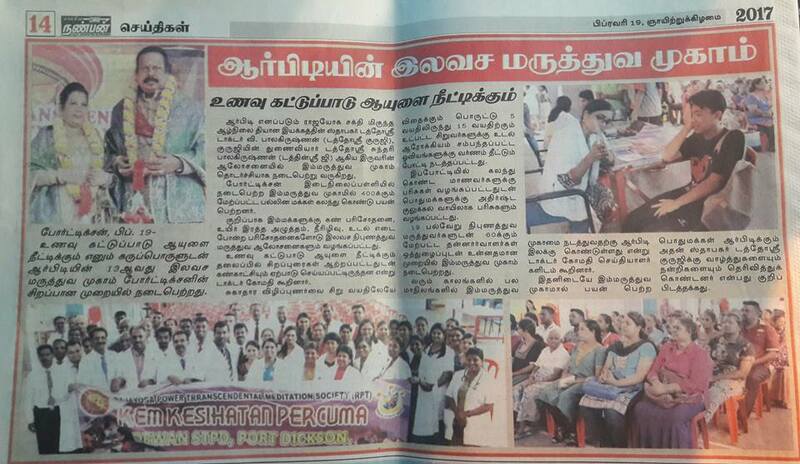 RPT's Annathanam 2015 News in Nanyang Siang Pau on 20.6.2015. 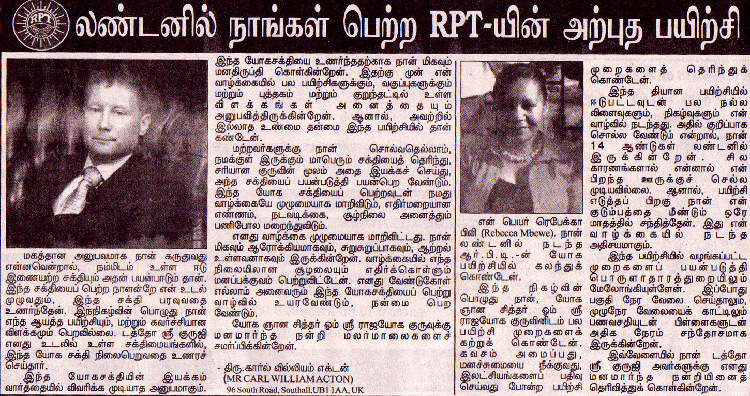 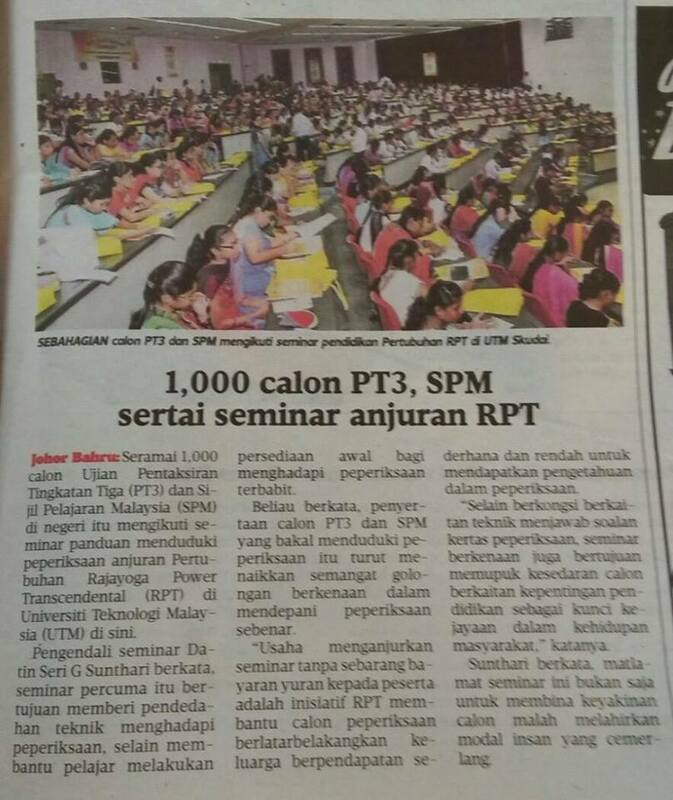 A student's excellent academic achievement by using RPT's Study Method.